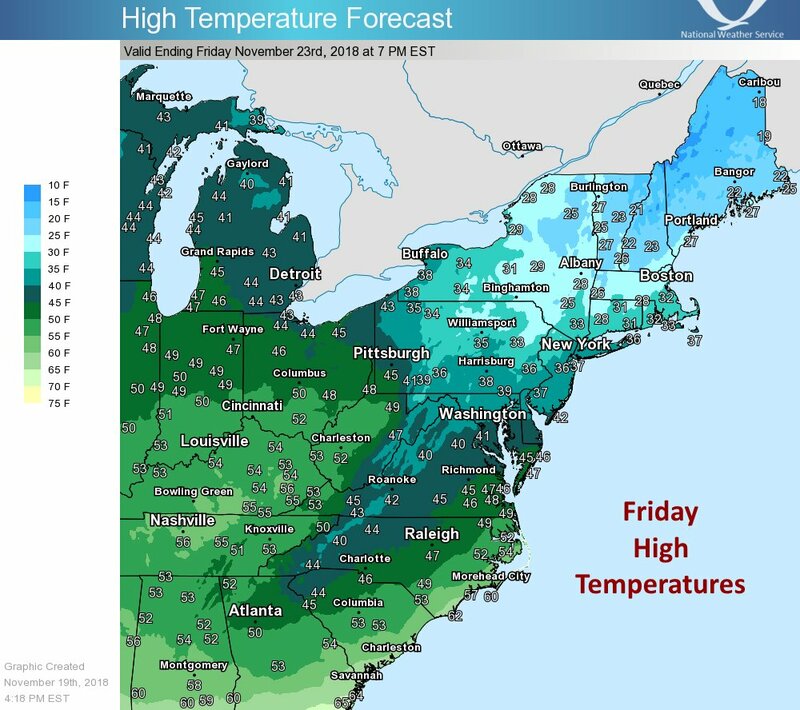 Cold Blast: If you live in the Northeast, you’ll need your heater this Thanksgiving! 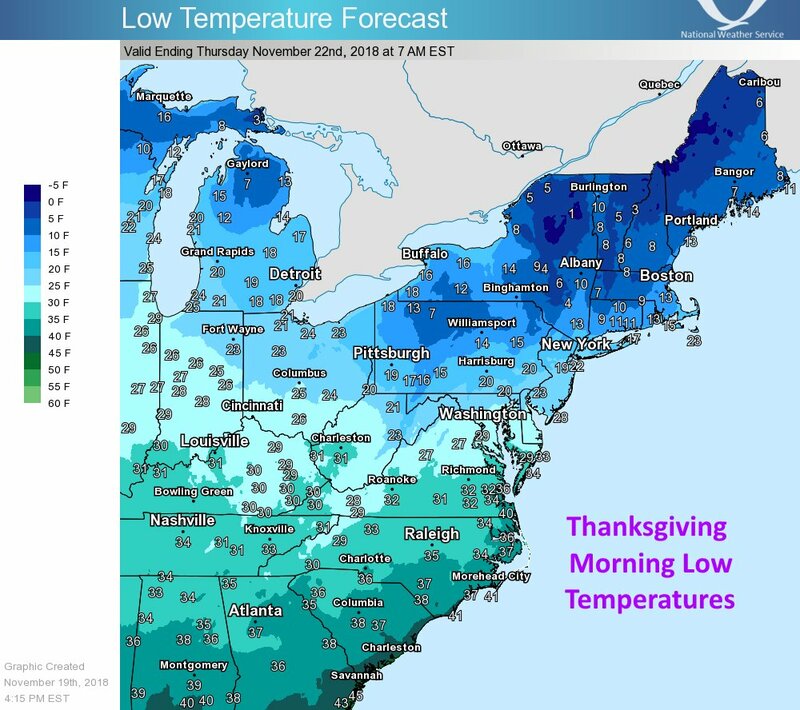 If you live in the Northeast, you better put some mittens on your turkey this Thanksgiving. Because temperatures are gonna’ drop — and not like it’s hot. Snow is forecast to drop from Pittsburgh to Albany to Portland, Maine starting Thanksgiving Eve. The weather service is warning drivers to be wary of slippery roads and sudden white-outs. And apparently, that cold Arctic air is doing Too Much this month, because along with snow temperatures are set to drop 20 to 30 degrees below normal. Boston, for example, is set to see a high of 22 degrees Fahrenheit, a potential record-breaker for the city on Thanksgiving. 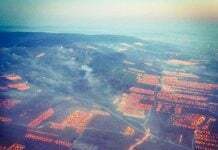 New York City could see temperatures hover around 27 degrees Fahrenheit. The last time a Thanksgiving was this cold was in 1882. 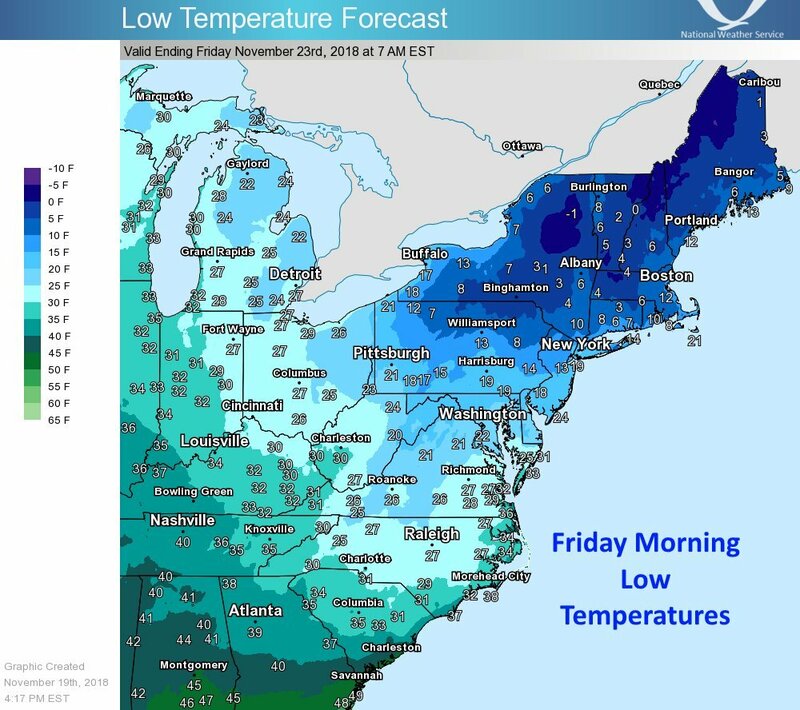 Farther up north in Burlington, Vermont cold temperatures may break records by dipping to 16 degrees Fahrenheit. When you factor in wind chill, the temperatures are even more frightening. 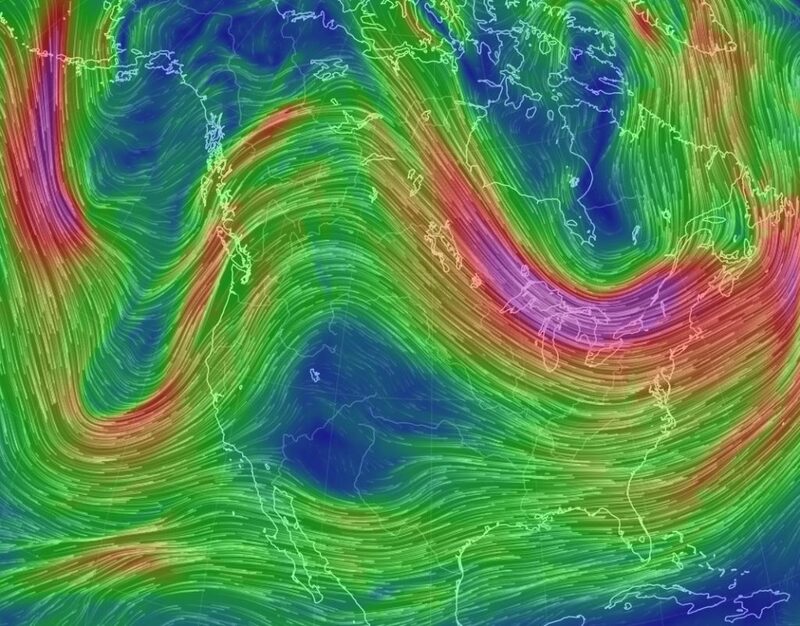 A this is all about the jet stream, which is currently in a “highly amplified state” over North America. That’s pushing warm equatorial air north in the West and cold air from the far north south in the East. As our Earth grows warmer, this year’s Thanksgiving is trending extremely colder. But, at least you’ll have a big plate of food to warm you up this time around.